This year is the first year that I’ve planted green beans in our garden. I wasn’t sure how well that they were going to grow but many of you assured me that they were easy to grow and would do well. Well, 3 months later and I’m happy to report that the green beans are in fact growing well. In fact, they are growing so well that we have a giant green beanstalk that has reached the roof. I don’t know how we’re going to pick the green beans up there put if all else fails Santa and his reindeer will have a nutritious snack on Christmas Eve. I’m not a fan of green beans. I’ll eat them when my husband tells me to eat my vegetables but it’s usually only one or two. My daughter and my husband love them and Sherman and Leroy like frozen green beans. So that’s why I planted them. And now I have a plethora and my sister planted bush beans and gave them to me so I have a double plethora. My plan is to blanch and freeze and I’m also planning to dehydrate them which will make a great crunchy treat for Sherman. Yes! 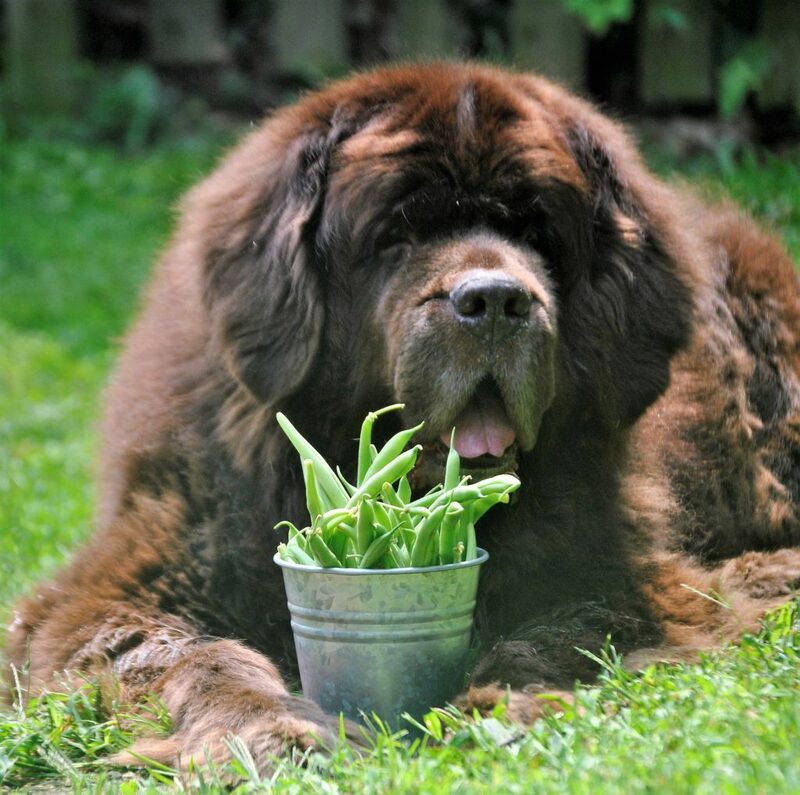 Green beans can be a great addition to a dog’s normal diet and they can make great treats. Green beans are packed with fiber, low in calories and contain minerals and vitamins, such as Vitamin A, C, and K. Most dogs will tolerate them in moderation but it’s always recommended to check with your vet before adding any new foods to your dog’s diet. Green beans are often recommended by many veterinarians for weight loss in dogs and there’s even a green diet for dogs. Replacing a small part of a dog’s regular food with frozen or cooked green beans is a great way to drop some calories and fat from your dog’s diet. 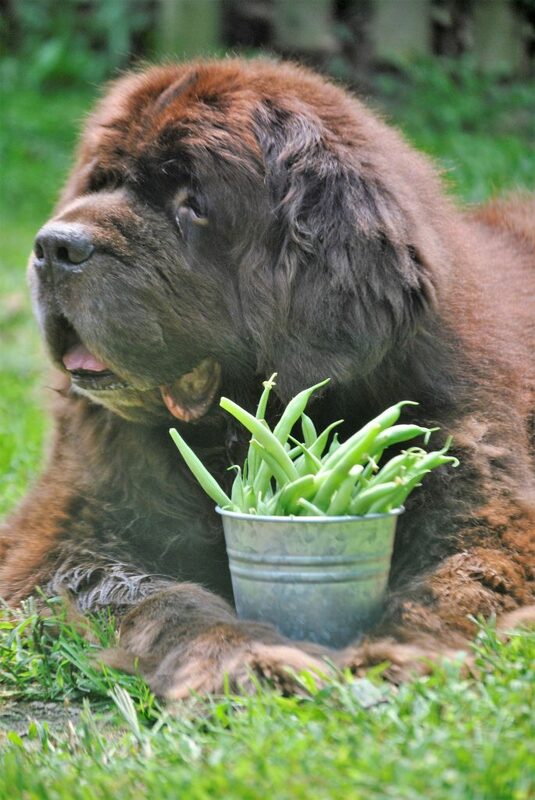 Fresh green beans have a crunch to them and many dogs will enjoy a few straight from the garden. Just make sure that they are washed and chop them up for smaller dogs. 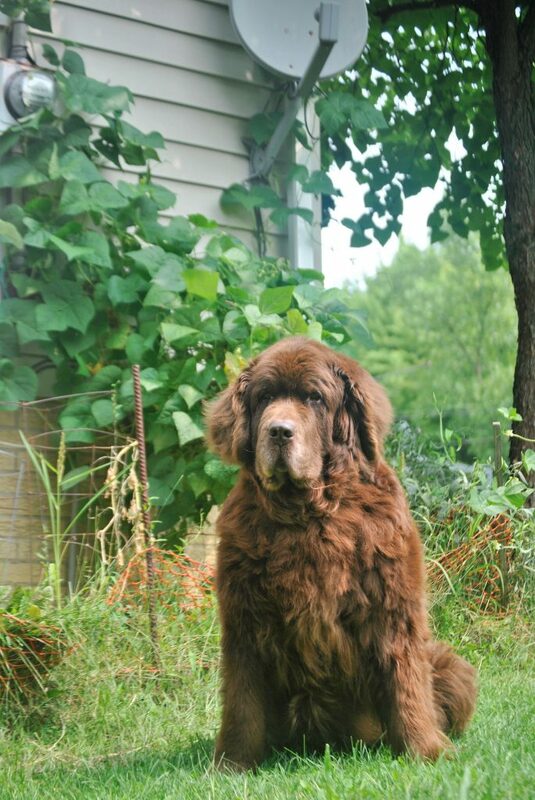 Green beans that you’ve blanched and frozen are a great snack or mix in for your dog. This is Sherman’s favorite way to eat them in the summer because they are cool and crisp. You can also buy frozen green beans from the grocery store but make sure there aren’t any other unnecessary ingredients in there like salt, garlic, onion or other seasonings. I also use them in our frosty pumpkin dog treats! You can also use frozen green beans in your dog’s food. Throwing in the vegetables will sometimes slow down dogs that eat too fast. Sherman and Leroy aren’t fans of steamed beans but many dogs are. Simply steam, let cool and serve them up in your dog’s dish with their food or alone as a snack. Dehydrated green beans are an excellent snack for dogs because they are nice and crunchy. You can so them plain, coat them with some coconut oil or try this fun recipe from our friends at Kol’s Notes. I’ll be making dehydrated green bean chips for the dogs this week and I’ll share how it goes later on! 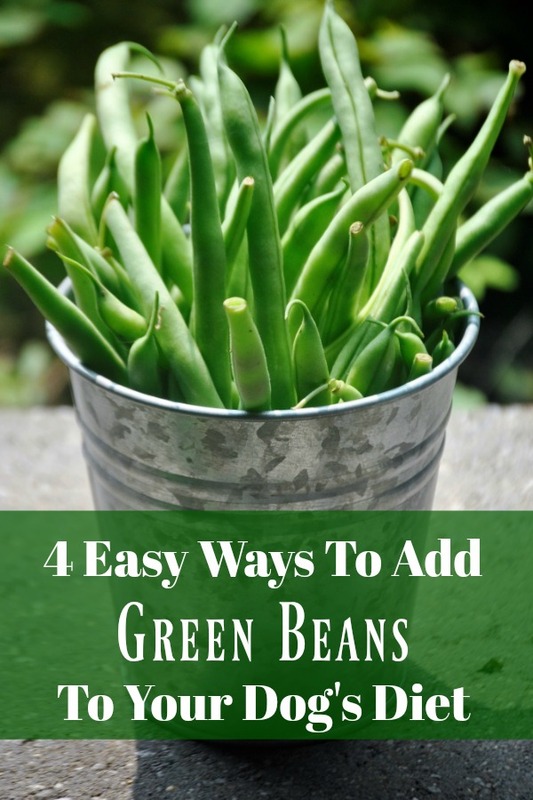 Dogs can also have canned beans, just make sure that they are low in sodium or salt-free, but I figured many people have a plethora of green beans like me right about now and they are looking for some fun ways to use them. And once again, we always recommended checking with your veterinarian before adding a new food to your dog’s diet, especially if you are looking at a weight loss program. 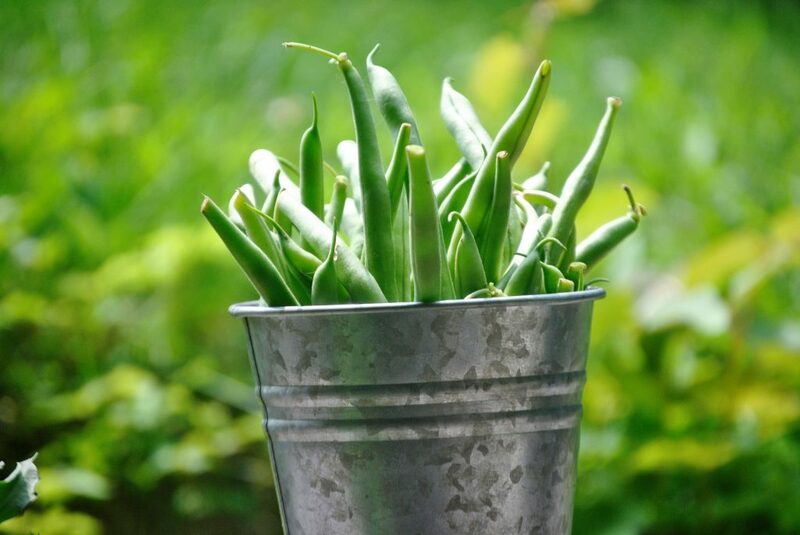 It’s said that green beans should not account for more than 10% of your dog’s diet and if fed in large amounts they can cause nausea, vomiting or diarrhea. Sharing is caring! Be sure to hit one of those buttons below and share to your favorite social media site! « Brown Bear Assisted Living. Elsa loves green beans, Sam isn’t much of a fan, unless they’ve got a big dose of parmesan melted on top…because parm goes with everything. Thanks for the dehydration idea. May give that a shot the next time I have a slew of extra beans. Dex is a bonafide weirdo an anti veg-ite. I sneak rehydrated veggies into his food and he eats them. I wish he would be like, you know, ‘normal,’ and eat green beans as a power snack. But noooooo he will not. Great tips here.